Schumann’s Piano Concerto in A Minor is the only piano concerto the composer ever wrote. Completed in 1845, it premiered later that same year; however, Schumann originally composed it as a one-movement piece for piano and orchestra. When he was unable to successfully sell the one-movement version to publishers, he revised it based on his wife Clara Schumann’s suggestion, eventually expanding it into a full three-movement concerto. In fact, Clara was the piano soloist when the piece premiered. In early 1846, Schumann’s piano concerto was performed under the conductorship of Felix Mendelssohn, a fellow German-Romantic composer. Adam Neiman, the pianist performing Schumann’s piano concerto with the Evanston Symphony Orchestra, is a faculty member at the Chicago College of Performing Arts at Roosevelt University. 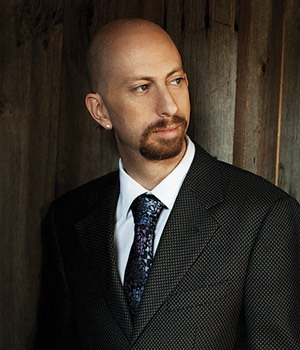 Neiman, a Grammy Award-nominee, has performed all over the world with numerous symphony orchestras, and is a member of Trio Solisti and the Corinthian Trio. Neiman has also composed several works for symphony orchestra, chamber ensembles, solo piano, and voice. In addition to Schumann’s Piano Concerto in A Minor featuring soloist Adam Neiman, other pieces on the program include the Ruy Blas Overture by Felix Mendelssohn and the Symphony No. 1 in C Minor by Johannes Brahms. Please join us at 2:30 p.m. on Sunday, February 3 at Pick-Staiger Concert Hall in Evanston for this all German-Romantic program. For tickets and more information, call 847-864-8804 or visit evanstonsymphony.org.